An interview with New York City Mayor Bill de Blasio started off with “the obvious question”: What the heck is he doing in Texas? Amid persistent rumors of his presidential aspirations, the two-term Democrat said he came to Austin to share the “progressive vision” he’s implementing in the country’s largest metropolis. One of his proudest achievements as mayor has been the expansion of free, universal pre-kindergarten, he said, as he looks to extend the initiative to cover three-year olds during the rest of his second term. He said progressive policies can start out in cities and states — both red and blue — before spreading to the national level. “America is a progressive nation waiting to happen,” he said, noting that one of his proudest successes — a form of government ID available to undocumented immigrants —was inspired by similar initiatives first introduced in Oakland, Calif., and New Haven, Conn. 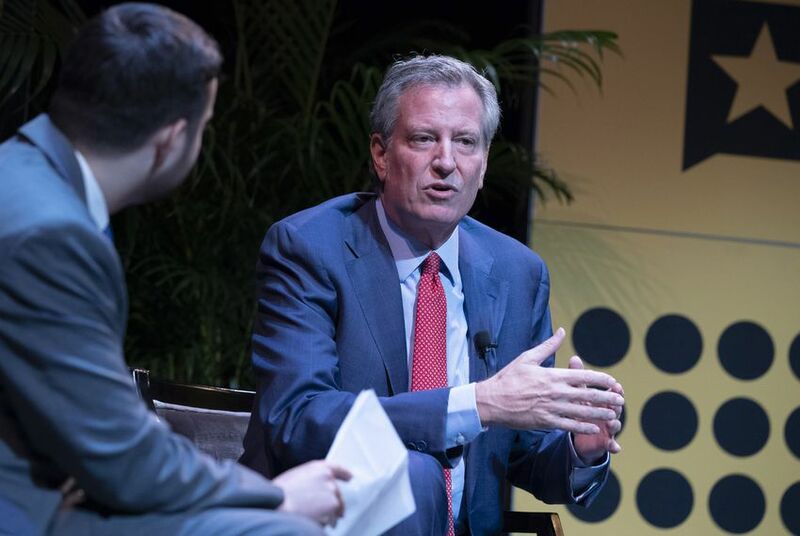 Asked about a Democratic primary season that pitted New York’s establishment incumbents against left-wing challengers up and down the ticket, de Blasio said the left is making his state even bluer. The mayor had declined to endorse either candidate in New York’s gubernatorial primary, despite his feud with Gov. Andrew Cuomo and ties to challenger Cynthia Nixon, who he called one of the “architects” of his own campaign for mayor. While Nixon lost by a wide margin, de Blasio said she was effective in putting issues like electoral reform and criminal justice reform on the map for the upcoming legislative session. 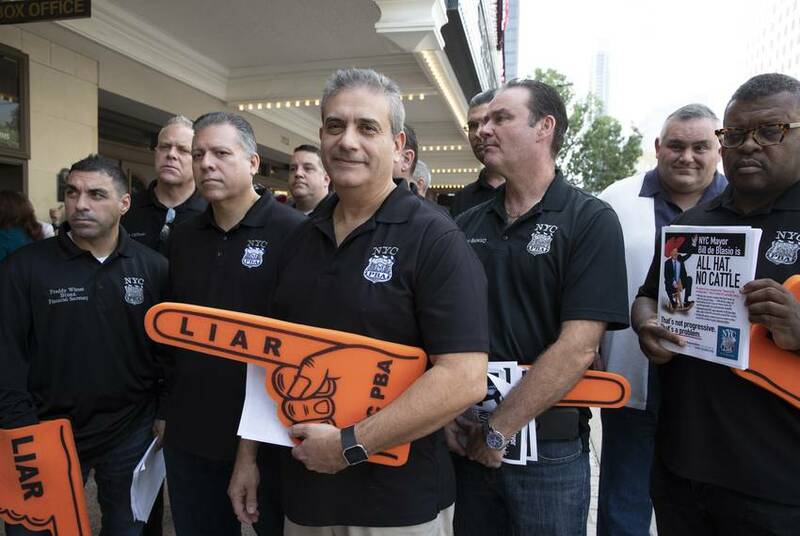 Outside the Paramount Theater in downtown Austin, a small crowd from the New York City police union — and a few of their Austin counterparts — protested the mayor for stalling contract negotiations and accused him of delaying the process by appearing at events like this one.